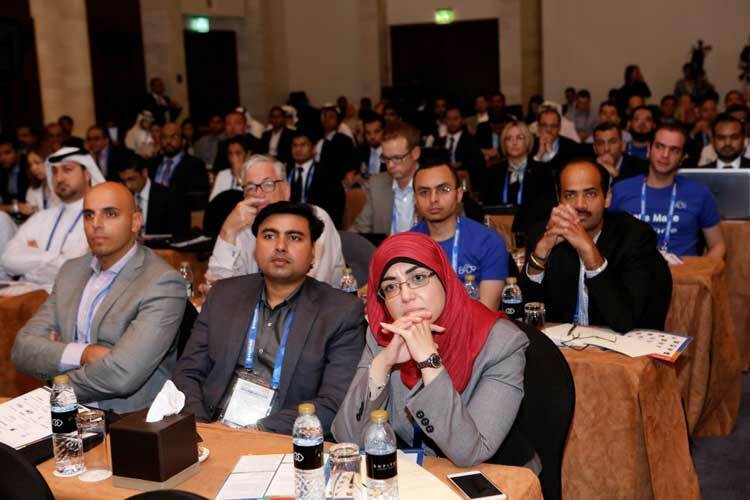 The potential of smart data and analytics to transform businesses and drive revenue growth was brought into the spotlight at the 2nd Annual Smart Data Summit that concluded in Dubai this week. Produced by global conference organizers, Expotrade, the summit was attended by over 300 participants, over two days of keynote presentations, panel discussions and case studies. The event took place on 25-26 May at Sofitel DubaiThe Palm Resort and Spa. The summit commenced with a welcome address delivered by IBM’s Sunil Mahajan, who went on to make a presentation titled ‘Not Business Analytics as Usual.’ He explained that insights having a profound effect on businesses can be uncovered using big data harnessed from a number of sources and analyzed in different ways. He proceeded to emphasize how faster, easier and smarter analytics services were the need of the hour, and highlighted how IBM has helped organizations realize the value of big data and analytics.Another interesting session on the first day was Facebook’s Mario Vinasco speaking on influencing product decisions with analytics. Using examples of Facebook campaigns such as ‘A Look Back’, Network Experiments including ‘Say Thanks’, and the shuttle bus operation, he explained the extensive analytics completed on each. Braintree, a division of PayPal’s Daniel Nelson explored the topic of data science and the mobile revolution in his presentation, which examined how commerce is changing due to the disruptive force of ‘mobile’, early data science successes and presented a snapshot of the future.On the other hand, Twitter’s Anupam Dikhit focused on using smart data to drive real-time personalized marketing at scale. Stressing on the importance of scale, he mentioned how approximately 1 billion tweets generated every two days translated into large amounts of data signals which, in turn, help build recent user profiles. He explained how marketers can use this to tailor targeted campaigns and reach people at the right time, thereby bridging the gap between engagement and conversion. Flipkart’s Pravin Shinde explained the use of digital analytics to improve marketing of e-commerce portals. Stressing on the importance of data being reliable and collected instantly, he also advocated the use of simple propensity models for better results and zeroed in on mobile as the better avenue for personalized experience. Hyatt International’s Parthasarathi Mandal shared his thoughts on how smarter data meant smarter hotel businesses, taking the audience through interpretations of smart data from a hotel’s perspective, the blurring lines of customer touch points and the happiness equation that links smart data to business growth. His session also included an interactive exercise with the audience. Sessions on Day 1 included speakers from Emirates Integrated Telecommunications Company (du), Nakheel, Data Aurora, along with premium sponsors Thomson Reuters, HP Big Data, Denodo, Qlik, Wipro, presenting on topics such as the impact of big data on the telecom industry; data governance and security; next generation analytical platforms; data virtualization; discovering the power of big data; redesigning business digitally; using technology to improve customer experience; big data ephemeralization. 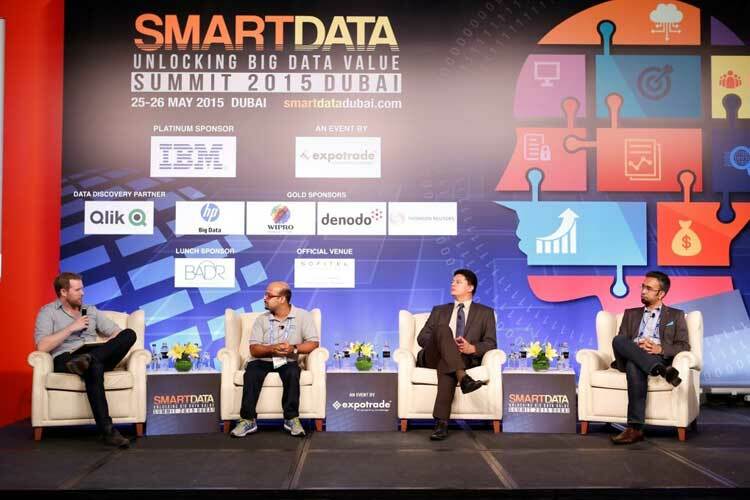 The panel discussed in detail how big data analytics could reinvent social media marketing. Day 2 highlights included speakers from Al Ahli Holding Group, UAE University, UAE Exchange, Al Safeer Group of Companies, speaking on optimizing loyalty programs; integration of social media with CRM/ERP systems; big data and quantum computing; building of the brand using smart data. The day’s discussion featured the panel shedding light on the metrics to measure ROI on smart data investments in marketing. The networking sessions, particularly the lunches sponsored by Badr IT also proved popular, with active discussions taking place during these times. In only its second year, the Smart Data Summit has been established as the foremost event of its kind in the Middle East. This year’s partnerships included industry leaders such as IBM, Qlik, HP Big Data, Wipro, Denodo, Thomson Reuters and Badr IT. Exhibitors included MDS ap Tech, EnterpriseDB, Qarar, iDashboards, Master Works, Cloudera, Inseyab, GDS, Nutanix, Radix Mena, Bisnode, Enodos, Data’oro, Minodes, arroWebs, Xceed Ventures.